When Michigan's Matt Acker is at a gravel event, it is tough to miss him out on the road. Part of that is because Acker is fast. 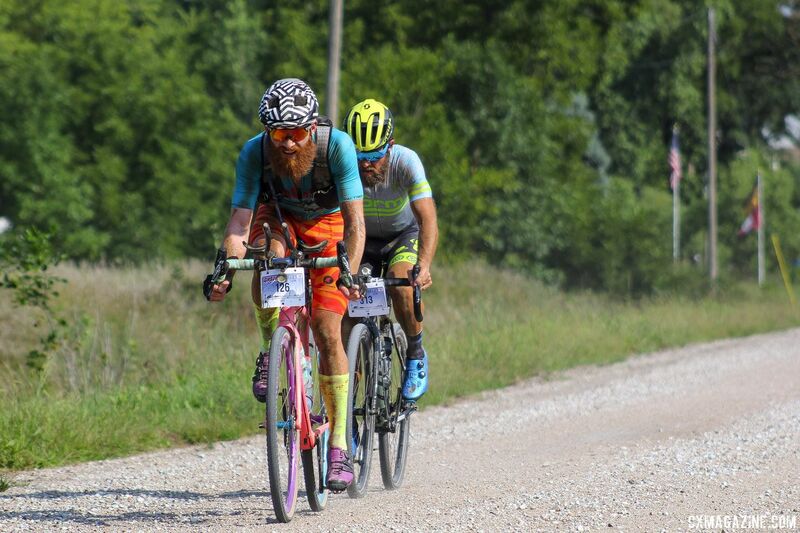 Acker won the inaugural 350-mile DKXL race held during the Dirty Kanza 200 weekend and finished in the top 10 at the 2018 Gravel Worlds. He also chipped in to help design the route for the first-ever Michigan Coast-to-Coast Gravel Grinder held in May. The other reason you might notice Acker is his colorful appearance. Maybe it is the resplendent ginger beard, maybe it is the bright orange chamois, but most likely, it is the multi-colored Salsa Warbeard he rides. No, Salsa does not have a new bike; the Warbeard is Acker's appropriately named Salsa Warbird. We put our sunglasses on after Gravel Worlds and checked out Acker's Salsa Warbeard for this gravel bike profile. The Salsa Warbird was one of the first gravel race bikes introduced, and it has continued to be a mainstay for the company since then. The model has continued to evolve, and this year, the company showed off the Warbird V4 model at the All Things Gravel Expo during Dirty Kanza. 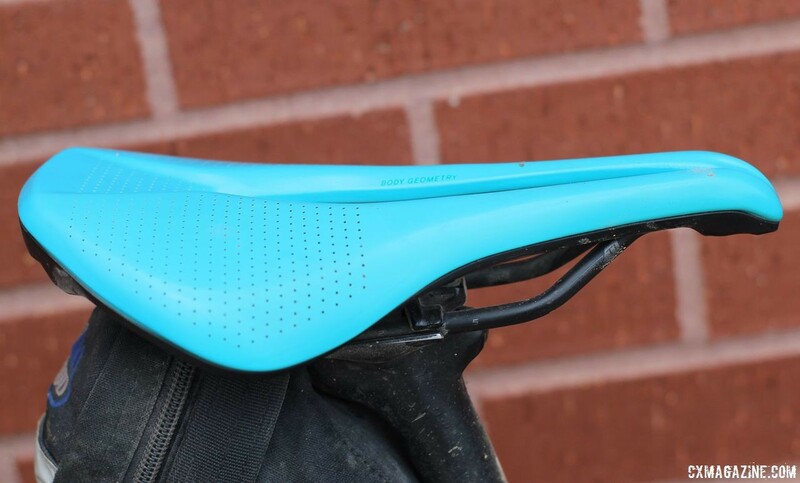 Acker's Warbeard is one of the first carbon Warbird frames Salsa produced when it switched to carbon from titanium in 2015. "The Warbeard is one of the original Warbird framesets," Acker said. "It's got like 16,000 miles on it. It's still kicking solid." 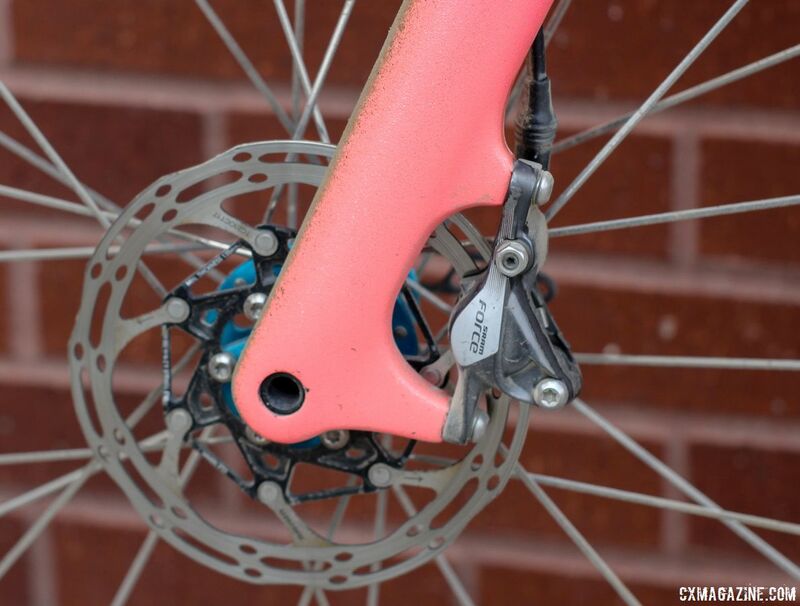 A quick look at the post mount disc brakes on the carbon frame and fork shows the bike's age. Of course, if you take a quick look at the Warbeard, what you are likely to notice first is its many bright and colorful hues. The revamped color scheme comes courtesy of a recent update. Said Acker, "I e-mailed Mike Riemer at Salsa earlier this year and said, 'Hey, this is getting kind of scratched up. Can I paint it?' and he said, 'Knock yourself out.' He sent me a fresh head badge and I did the painting. My wife [Jenny] did some graphics for it." 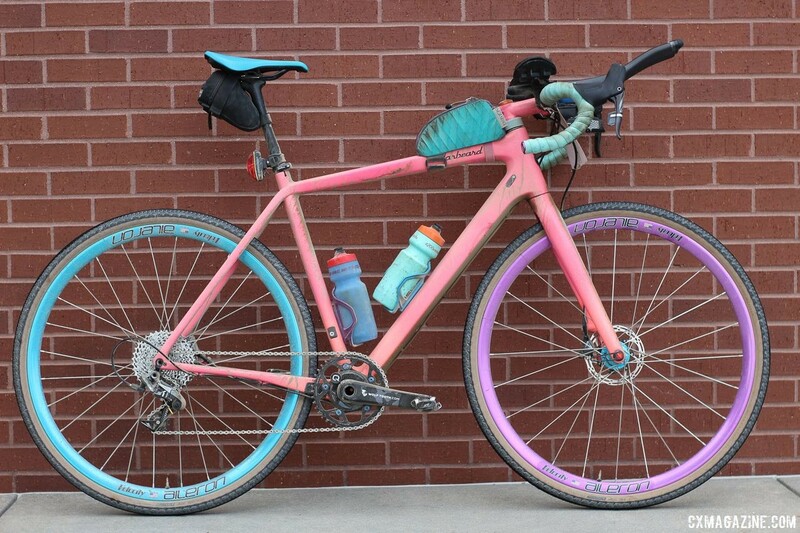 Turquoise bar tape, an "Acid Mint" Specialized Power Expert saddle and Limited Edition "Wack Pack" colored Oveja Negra Snack Pack provide highlights for the bright pink Warbeard frame. Acker's wheels add even more color to the Warbeard. 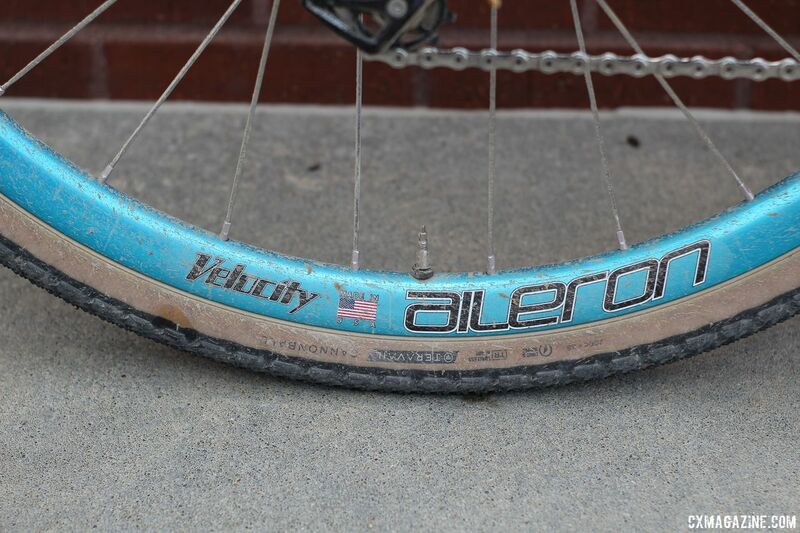 He ran alloy Velocity USA Aileron rims with Industry Nine hubs. The anodized rims are purple in the front and turquoise in the rear. Acker said Velocity USA got the "wet" look by polishing the rims before they anodized them with the custom colors. 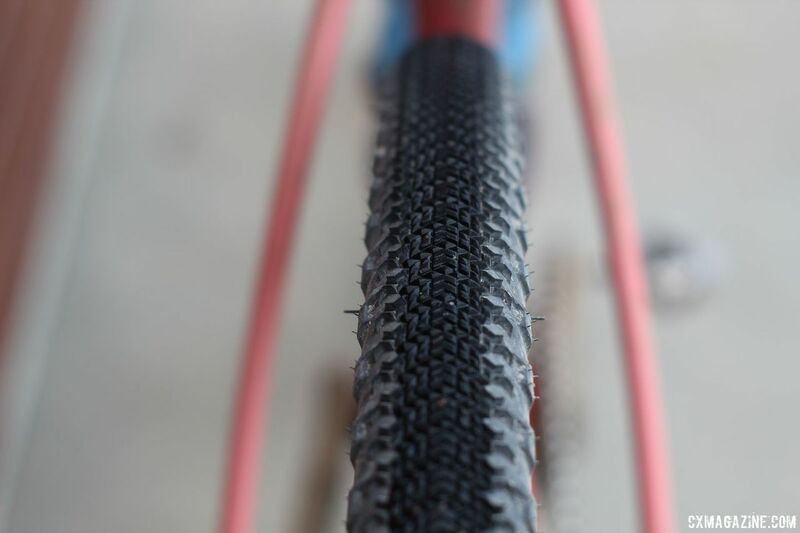 Acker's tires for Gravel Worlds were Teravail Cannonball 700c x 38mm gravel tires that have a tight directional center and side knobs. Acker said he has run the model for several years now, but switched to the new Light and Supple tan wall model for the 2018 gravel season. 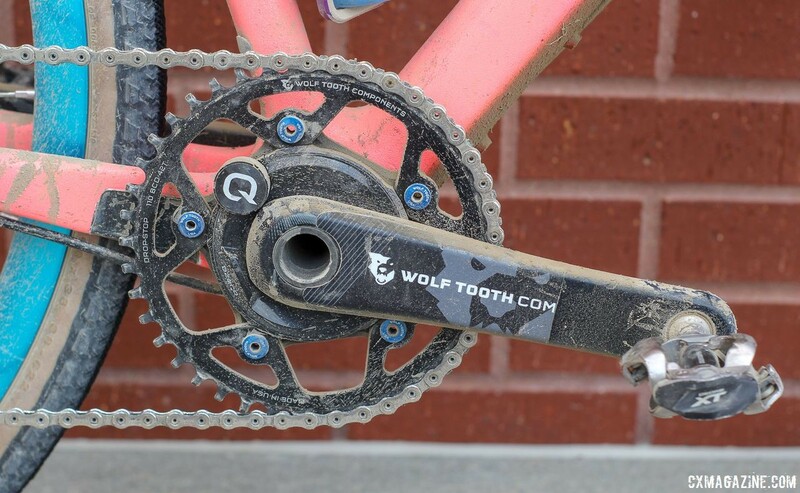 Acker's drivetrain featured a Quarq DZero crankset with a 42t Wolf Tooth SDM chain ring in the front and SRAM Force 1 rear derailleur with an 11-36t SRAM cassette. 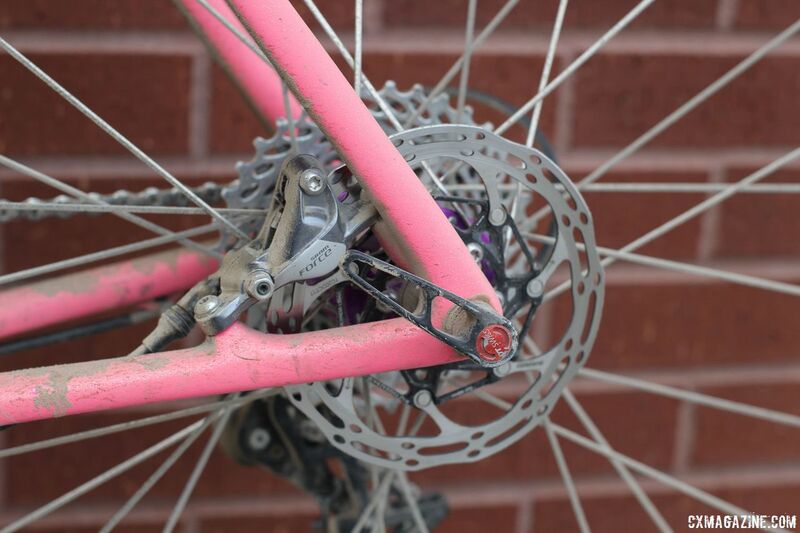 His shift/brake levers were also SRAM Force 1 HRD. 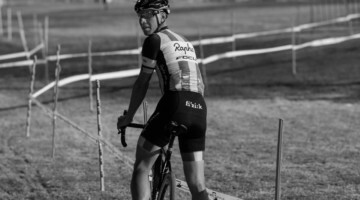 With the lightning-fast lead group at Gravel Worlds, Acker said he wished he maybe had some extra gear up front. "Today, a 44t would have been nice because I spun out a few times around 30 miles per hour," he said. 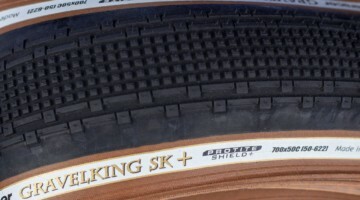 Finally, Acker joins the growing legion of gravel riders who embrace aero bars for their rural road grinding. Acker used Zipp Vuka clip-on clamps with Vuka Evo 70 carbon extensions. 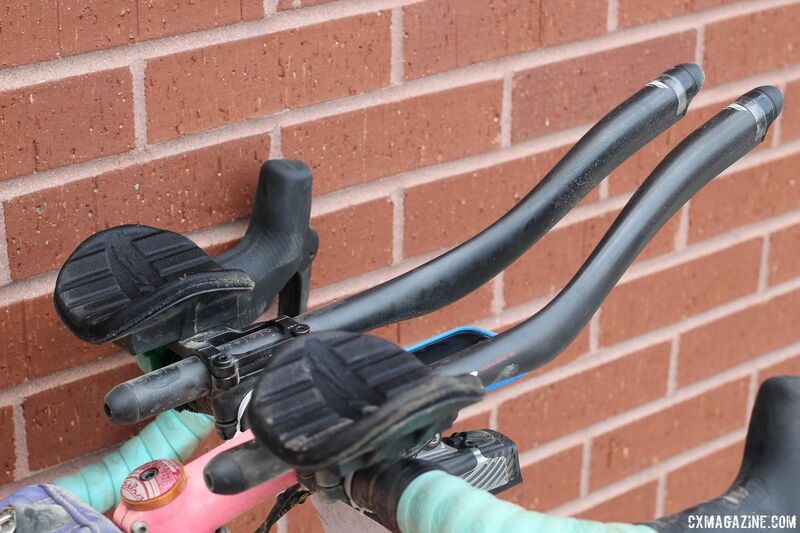 "From all the ultra-distance stuff that I do, I have some hand numbness issues, and so it's primarily for relieving pressure off my hands," Acker said about his aero bars. "And of course, if you get caught off by yourself—today I spent 40 miles chasing alone—it's nice to have them." 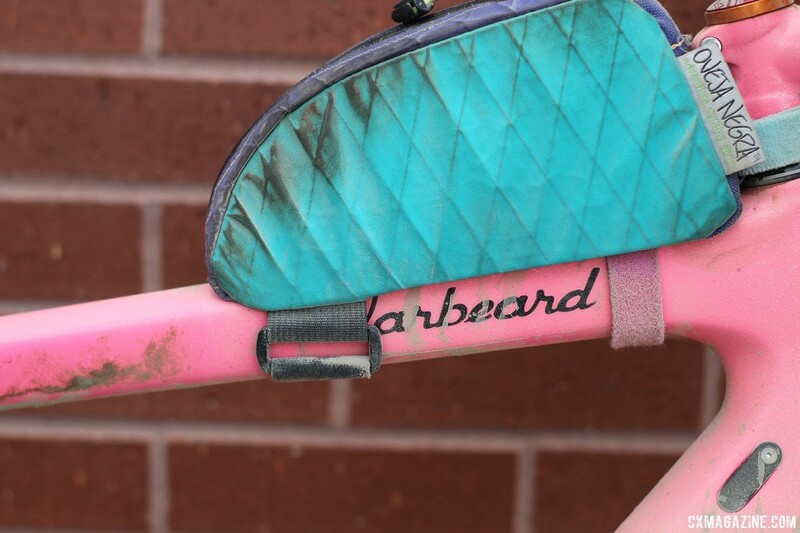 For more on Matt Acker's Salsa Warbeard, see the photo gallery and specs below. For more gravel bikes from Gravel Worlds, see our profiles of Alison Tetrick's Specialized Diverge, Amity Gregg and Colin Strickland's Pinarello GAN GR Disks and Josh Berry's Giant Revolt Advanced 0.